In 2018, help us celebrate the 100th birthday of May Gibbs’ beautiful Bush Babies! 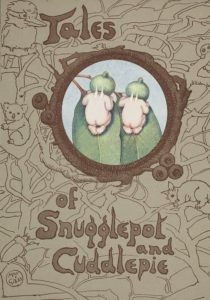 When you think of the very best in Australian children’s books and Australian book characters, May Gibbs’ Snugglepot and Cuddlepie immediately spring to mind. 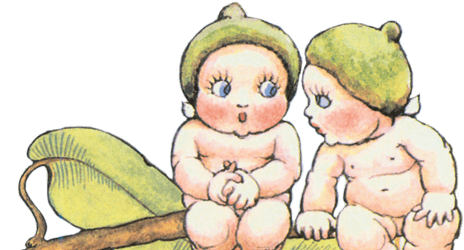 These loveable bush fairies turn 100 years old in 2018, and we think that’s something worthy of a celebration! May Gibbs and her contemporary Norman Lindsay, who wrote The Magic Pudding, used their love of the Australian bush and the animals who lived there to create a uniquely Australian literary landscape for children. Their stories and their lovable characters live on in the hearts and minds of generations of Australian children. If you read Tales of Snugglepot and Cuddlepie as a child, why not celebrate 100 years of this amazing book with a re-read in 2018 as an adult? Or, even better, by sharing them with your children! Once you’re done, May Gibbs has a host of adorable Australian bush characters that every Aussie child is sure to love – and you can check them out here! When we look back on the last 100 years, there are so many wonderful Australian children’s authors that stand out – John Marsden, Ethel Turner, Mem Fox, Libby Gleeson, Dorothy Wall, Melina Marchetta and Markus Zusak to name but a few. They’ve helped to create some amazing Australian book characters that children all around the nation continue to adore and read about. But, two names shine above all the rest – Norman Lindsay, who wrote the amazing The Magic Pudding, and May Gibbs Snugglepot and Cuddlepie. These two stories are icons of Australian literature and helped paved the way for future Australian stories. Without them, Australian books and book characters would certainly be very different from what we know today. Just look at the famous names on that list – Ethel Turner, Henry Lawson, even Banjo Patterson! Of these books, The Magic Pudding by Norman Lindsay and Tales of Snugglepot and Cuddlepie by May Gibbs are still just as popular, a century later. They captured the hearts and minds of a developing nation, creating a uniquely Australian folklore and literary landscape that survives to this day. With their lovable characters, fanciful landscapes and familiar settings, these books helped to form the basis of postcolonial Australian popular culture. At the publication of Tales of Snugglepot and Cuddlepie, May Gibbs cemented her place among Australia’s most successful children’s authors. She’s also helped to pave the way for Australian women as successful authors. May Gibbs began her life in Australia in Perth, and made her adult life in Sydney’s Neutral Bay. Her beautiful art and timeless stories are a result of a combination of the British influences of her ancestors, and the Australian bushland that surrounded her. Essentially, her art reflects the dominant Australian culture of the time and the struggle the nation faced to separate itself from its former colonial power. Where Britain and Australian culture meet, May Gibbs has shown that magic can happen. May Gibbs was an early environmentalist, and drew her inspiration from native gumtrees and their unique leaves and flowers. She truly cared about the landscape she grew up in, and wanted the children who read and treasured her books to care about it, too. She urged her readers to be ‘kind to bush creatures’, and used her loveable characters as a bridge between human beings and the animals that shared their living spaces. In previous works of literature about Australia, primarily penned by British authors, Australian flora and fauna tended to be portrayed as a primitive novelty. May Gibbs changed all of that. Her beautiful art shows her immense appreciation of Australian plant and animal life, and her belief in the beauty of it. Her stories portray Australia as a magical place, with creatures that are at once recognisable to a European perspective, but also unique and special. May Gibbs managed to turn what some people back in England would have thought of as a harsh, unforgiving landscape into the setting for a fairy tale. 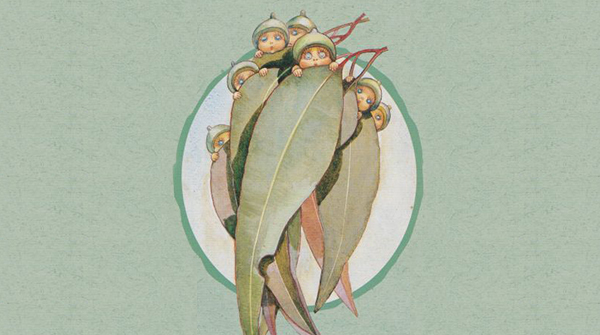 Her Gumnut Babies and Bush Babies are fundamentally European-styled fairies, decked out in Australian gumnuts and flowers, flitting about beautiful Australian forests. The images of these babies, clad in only gumnuts, tiny leaves and flowers, are forever etched on the nation’s heart. Who could resist those gorgeous little faces peering out over the edge of a gum leaf or a flower, with tiny wings and big blue eyes? No wonder they have remained so popular! 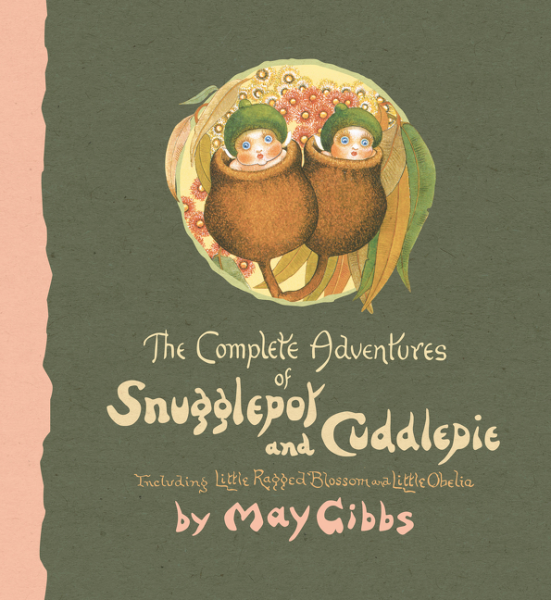 May Gibbs’ place in Australian children’s literature and popular culture is rock solid – and with the many events happening throughout the next year, her relevance has never been stronger. For more information, click here! For more on the wonderful May Gibbs and her Bush Babies, her truly amazing collection of iconic Australian stories and book characters, or to learn more about this multi-talented woman and her art, explore our website today! « The Best Ideas To Teach Conservation For Kids!